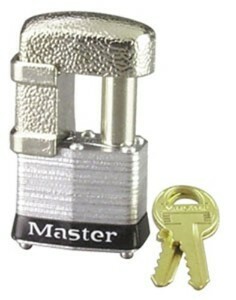 This shrouded padlock locks your coupler while it is attached to your tow vehicle, in place of a coupler safety pin. Prevents removal of the coupler from the ball. 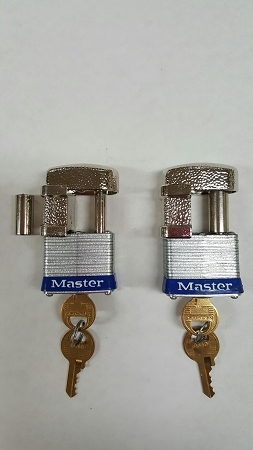 This lock has an interchangeable pin size, with an extra bushing that slides over the other for a tighter fit on some products. Works perfect with the cam bar hasps that secure your back or side trailer doors---especially good for cargo trailer doors. Applying this lock makes it impossible to saw the lock off. Armored hardened steel shackle defies cutting. 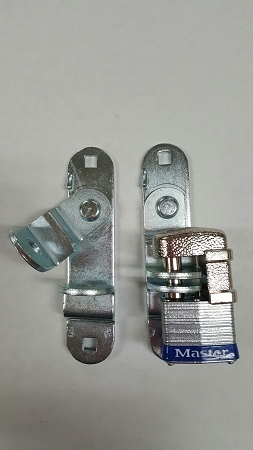 Shackle guard protects against bolt cutters & hacksaws. Remember to lock your ball mount to your trailer with a locking hitch pin also!